The Council of Australian Postgraduate Associations is part of the #ScraptheCap alliance, a group of peak bodies united against the recently announced $2,000 cap on tax deductions for self-education expenses. This is a policy that disproportionately disadvantages postgraduate students. Many prospective full-fee paying postgraduate coursework students will no longer be in a financial position to return to study if this policy is implemented. Similarly, it overlooks the extra expenses associated with being a Higher Degree by Research student, such as conference attendance. YOU CAN SUPPORT THE #SCRAPTHECAP CAMPAIGN by signing on to the petition at www.scrapthecap.com.au. You can also submit your story of how this policy will affect you, as part of the #ScraptheCap overall submission to Government. Data released today by Universities Australia has confirmed that postgraduate students will be hardest hit by a cap on tax-deductable education expenses, with full fee student numbers likely to drop by up to 30 per cent in four years, says the Council of Australian Postgraduate Associations. “The cap on tax-deductible education-related expenses has been largely lauded by the Government as only disadvantaging wealthy students attempting to rort the system, when in fact we have suspected from the start, and data from Universities Australia today confirms, that postgraduates will be the hardest hit,” said Council of Australian Postgraduate Associations President, Ms Meghan Hopper. “The data released by Universities Australia today illustrates that the effective cost of enrolling in full-fee postgraduate education will increase by at least 30 per cent, and as much as 54 per cent – figures that are alarming to the Council of Australian Postgraduate Associations and the students we represent,” Ms Hopper said. “This adds to the impact of the 2012 Mid-Year Budget Review, where income support for postgraduate coursework students, long promised by the Government, was pushed back by a further three years,” Ms Hopper said. “We need to shift this perception that postgraduate coursework students are somehow more wealthy than undergraduate students and therefore able to afford an endless litany of extra costs,” Ms Hopper said. “The reality is that in many fields of work, a postgraduate qualification is becoming a requirement. With some institutions moving to models that require postgraduate study in order to gain a qualification such as law, we are seeing more and more students undertaking postgraduate coursework studies,” said Ms Hopper. “Capping tax-deductible education expenses and continuing to push out the availability of income support for postgraduate coursework students makes postgraduate study something that is accessible only to the privileged few – it is an enormous equity concern, one that the Labor Government should address,” Ms Hopper said. The Council of Australian Postgraduate Associations was one of the first peak bodies to join the Universities Australia #ScraptheCap alliance, which is calling on the Government to drop the $2,000 cap on education-related expenses that can be claimed on tax. 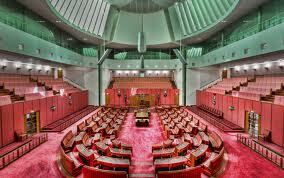 The Council of Australian Postgraduate Associations is aware that an article regarding a Senate candidate for the Palmer United Party in the State of Western Australia has been published today in the Australian Financial Review. This article addresses the candidate’s former relationship with the Council of Australian Postgraduate Associations and makes claims regarding our financial validity as an organisation. We became aware that this article was in production mid-last week and sought the opportunity to contribute comment to the Australian Financial Review but were unfortunately denied this opportunity. The Council of Australian Postgraduate Associations does not dispute this candidate’s ability to speak about the Higher Education and Research sector as a PhD candidate, an academic staff member at Curtin University and a former representative of that University’s postgraduate population in a variety of capacities. However, given this candidate’s previous association with the Council of Australian Postgraduate Associations, we wish to make a statement regarding her candidacy at this time. Chamonix Terblanche resigned from her role as President of the Council of Australian Postgraduate Associations mid-way through her term in August, 2012. Ms Terblanche then attempted to undertake a public campaign to undermine and destabilise the organisation. This campaign has ultimately been unsuccessful, with the Council of Australian Postgraduate Associations recently closing our most successful six-month financial period since the implementation of Voluntary Student Unionism. We have also welcomed one new affiliate to CAPA, and welcomed back five paid affiliates who had been unable to support CAPA in recent years, in the period since Ms Terblanche’s resignation. We are looking forward to continuing to contribute to the national debate around higher education through a substantive, non-partisan, policy-driven campaign which we will orchestrate in the lead-up to the upcoming Federal Election. The Council of Australian Postgraduate Associations is a non-partisan organisation and does not endorse the candidacy of any current or former officeholders in the upcoming Federal Election. Disclosure: Meghan Hopper is a member of the Australian Labor Party.